I wanted to share this decree I have written for the upcoming New Year. I hope you enjoy. Additionally, is a link for the visualization I put together and if time allows later this evening, I may be able to put together videos for both of these. If you would like your name mentioned during my ceremony at Sunrise, EST, New Year’s Eve at the Beach in Long Beach Island, NJ, please email me your name and location, meleriessee@lifestationearth.com. We are intending to walk into this New Year fully activated as Way-Showers to others within our 5th dimensional vehicles. Love and Blessings to each of you. 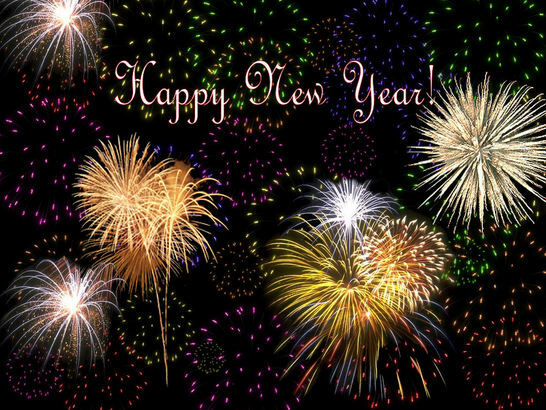 May this year be the year of our awakening and enjoyment with one another. Some of you may be aware of the City of Telos, below Mount Shasta as there have been a couple of very important people that have written about this subject. One very special woman, Louise Aurelia Jones lived in Mount Shasta and wrote extensively about the Lemurian City underneath the depths of the mountain. 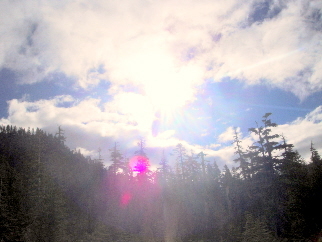 Another writer, Dianne Robbins, has also written about this magical place of Light. 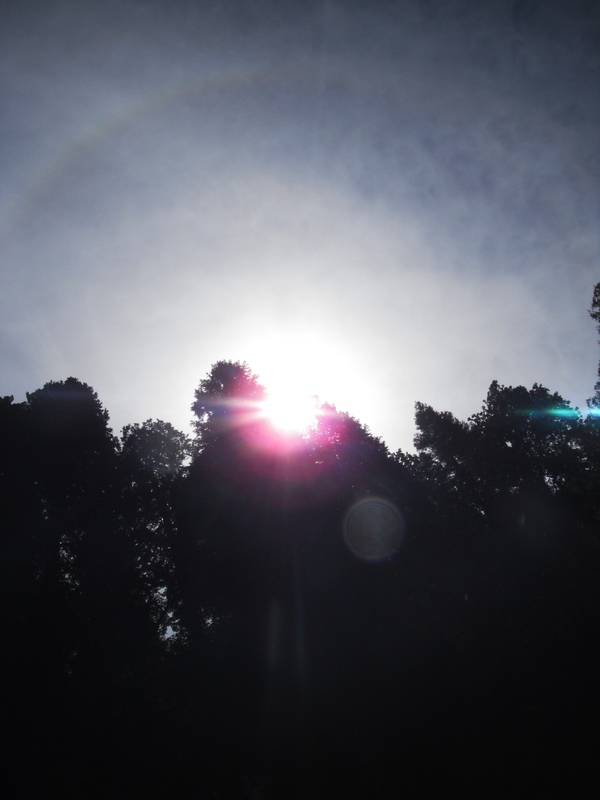 I have had personal experiences of Telos and within Mount Shasta as many of you already know. I was given the utmost pleasure to fully meet Lord Adama, the High Priest in Telos in 2000 when I was attending one of Dr. Stone’s Wesak Festivals. There really are no coincidences, and this one such moment in time changed my life forever. He presented himself to be an amazing man, just like the drawing that is portrayed of him in a beautiful off-white jacket with a mandarin collar with blonde hair that barely touched his collar; he stood well over 6 feet tall. He had the most amazing blue eyes and a smile that I will never forget. I saw he had just purchased two of Dr. Stone’s books and I asked him where he was from. At this time, I was not registering that he was “the Adama” and he said, “I just moved to Mount Shasta and it is the most magical place in the world.” Well, his energies took me back a few steps and I said to myself only, “I don’t think you just moved here, I think you live here.” With that he introduced himself as “Adam” and I introduced myself as Christine. He hesitated when he said Adam so it was a quick clue in my mind’s eye. It all happened so fast. He smiled at me and took his first two fingers and lightly touched my Throat Chakra, and said “so beautiful”. With that, he walked away. I am quick to notice ascended masters coming in body, and I did notice he had an ID bracelet that each participant had for the event. With that he was gone. I ran outside and he was nowhere to be found. I then went up to my friend, Birgit, at the book table and said, “Birgit, did you notice who that guy was in the white suit?” She said, “He said his name is Adam…oh, no….you have got to be kidding.” At this point, I am jumping up and down and said, “That was No ordinary Adam, that was Adama…!” We were both elated. It was time for a break outside, and I found myself very woozy. I told Birgit I had to sit down and realize I was getting pulled to get to Telos. It was pretty cold this time of year in April, so I asked Birgit for the car keys and told her what I had to do. She said, ‘yes, go.’ With that, I went back to our motel, and cleansed myself for my special ceremony. Afterwards, I got back in the car and took the 20 minute drive up the mountain to the highest part which was drivable during that time of year, around “Bunny Flat”. I parked the car facing part of the mountain which I felt was an entry point to the mountain. I slowly relaxed and projected myself to go down into the mountain. I was met by Adama who escorted me to an elevator that went down several hundred miles. He took me through the City and I was met by many Beings of Light including many ascended masters as they travel there continuously. I felt as if I had arrived home. My time there was an introduction to each of them which some of the information I still need to regress myself. I know it is very pertinent to this time of awakening we are going through. I was escorted back out through the elevator into my personal Merkabah and back into my car. I sat amazed, in tears, not sure what had happened but knowing there was a special connection I made with these wonderful people. As I drove down the mountain road, the road was turning to my right and to my wonderment and surprise, a golden eagle flew over my car. I stopped in awe and knew it was a beautiful sign of a huge new beginning. This past August I was asked by Saint Germain to travel to Mount Shasta on a personal journey which really entailed me walking the previous pathways but alone, acknowledging my mastership pathway. I was in two places at the same time during that trip so it was very intense and magical. My work with the Telosians has continued in many ways and there are many more stories that I want to share that are so magical it seems they were created for a movie. That is not my reason for writing at this time. I was asked by the Telosian community about five years ago to be an Ambassador for the New Earth. I have not shared this with very many people, but now I feel the time is ready. I have a direct link with the Christed Extraterrestrials, met them in body, and also have been in dangerous places to assist the healing of this Earth. I also have done many ceremonies on Mt. Shasta to help the healing of the lands on the upper Earth as Mount Shasta is considered to be the Root Chakra of Gaia. There has been a lot of duality that occurs upon the upper land, and I encountered some of this debris in my physical body. As a result, Lord Adama came to me and asked me if I would assist in letting others know more intimately about Telos, the people, and how they are here to help us ascend into the fifth dimension. Many of you that have followed my work know I am an advocate for the fifth dimensional energies helping others to incorporate their fifth dimensional bodies so the ascension process can take place. The ET’s of the Christ consciousness are a very big part of our ascension process and have been helping for some time. The souls of the Hollow Cities are also another component of our higher frequencies as they will be joining us in the times to come forward. So here I am, stepping out into the unknown once again…I will be bringing forth information to assist individuals in not only how to raise their consciousness but opening up their frequencies so each of these Beings can work with each of us individually. Many are already experiencing this in their own pathways as been shown through wonderful channelings of the ET energies. I have put together a channeling from Lord Adama from Telos with a special New Year’s message for 2011. I plan to continually bring forth information from Adama and also enlighten people about the Golden Cities. I have been receiving visions about the cities very recently which will be in the 5th dimension. Our earth is changing as everyone knows but in order to get to the 5th dimensional level we must be in various power spots. If we cannot get there, we need to be able to contact the ETs or the Telosians to assist us. Many are feeling the need to change their locations, and will do so. I am one of these individuals but I don’t think my home will be permanent. Many of us are involved in building the Golden Cities, but it is now time for us to be fully aware if that is our pathway. Hopefully, with the channeled information I am being asked to share, many will be able to bring forth their own wisdom and knowledge that has been stored since the time of Lemuria and Atlantis. My goal in this moment is to be their spokesperson and to let each of you decide where you want to be. We don’t know when it will occur but my feeling it is in stages as what we are experiencing presently. The most important aspect is to fully integrate the higher frequencies of the 22 Rays and Chakras. I will also be presenting a meditation to assist in this process. Utilizing Decrees for a total of 120 days will align our energies without us even realizing what is happening. I also will be providing more Decrees for the present circumstances. The Earth as we know it will stay in a third dimensional reality which will be full of debris, dysfunction, and karmic-related relationships. Moving onto the fifth dimensional reality is Pure Love, Bliss, Oneness, Expression of the Self, and Total Acceptance. We are in a time of great change, and it is our responsibility to take care of ourselves first and then others. There are many that are already moving into the higher realities. This is not to panic but just to prepare everyone. We do have a choice and the end result is beautiful and magnificent. I hope you will join me in the full expression of our Light and Love together. 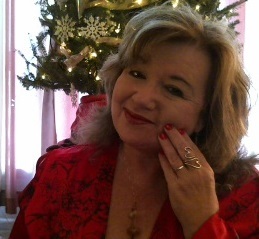 Please know that the ceremony I am doing on New Year’s Eve in Long Beach Island, NJ is about connecting with the Telosian energies and also to focus for our pathway in 2011. This is usually a private ceremony as it is my birthday, but I am being guided to offer it to anyone who would like to be included. Please email me meleriessee@lifestationearth.com with your name and location if you would like to join me energetically. I will be there at Sunrise, 7:20 AM, Eastern Time. Included is a link for a New Year’s Visualization and a special message from Lord Adama on New Year’s 2011. For a download of the visualization please see my website: http://lifestationearth.com/page_58.html. It is December 26th and I want to share some thoughts on this Holiday Season. This last month of 2010 truly has been land-marked for the most amazingly, beautiful elements for our higher frequencies to become fully balanced. 2010 alone has been fully of light frequencies and activations but now with this Holiday just passing, we have been given the opportunity to fully balance the energies within our physical vehicle. This month I have been pushed and prodded by the Spiritual Hierarchy to put out as much information as I could muster in my physical vehicle. I will say that I am much more grounded at the end of 2010 than I was earlier in this year which is a very good feeling. I still have my moments of being elsewhere and in two or three places at the same time, but I have learned to focus more fully within myself. We started with the energies of the New Moon, moving into 12:12, then the Full Moon which entailed the Lunar Eclipse and the Winter Solstice. On Christmas Eve I held a call in which Lord Sananda shared an attunement to help ground the energies ~ Sacred Heart Activation. Christmas Day was the big event for each one of us; the re-birth of our Christ Consciousness within our physical vehicles. Every person is going to feel this differently depending upon the level of initiation one is currently residing and moving towards, and how much one is willing to surrender. My integration is going to be different than others and the same goes for each of you. We are not all exactly on the same pathway or wavelength. That would be too boring, wouldn’t it. Then, how could we assist each other? I will relate my personal experience and possibly, it may help you to understand what you have been going through. I have been on the ascension path of over 15 years and been teaching the tools and techniques for about 10 years. I believe it is the most powerful work on the planet to help one fully find their innerself and soul’s purpose, “the missing puzzle piece”. In the past year I was gifted for my corporate job to end and be able to do this work more fully personally and professionally through the avenues of technology. Through each month of 2010 I was asked by the Hierarchy to do certain tasks within my life. My gift of connection to the other realms is what helped me get to the space I inhabit now. It happened that way in the beginning and it continues so I never say ‘no’. I put together Rays of God classes, special coaching programs, a manifestation class, mediumship and channeling class which all were very successful; I was learning as I was going through the motions. My mentor, Dr. Joshua David Stone told me many years ago “fake it, till you make it” and this is so very true. In July Saint Germain asked me to travel to Mount Shasta alone on a mastership journey. I did so without reservation but asked for financial backing. It came, and it was the most amazing trip of my life as each of the masters walked with me through the forests, the mountain paths, and into the beautiful waterfalls of the Telosian waters. I returned home with the sense that now it was finally time to admit that I was a master on this pathway and to share those words with others. I have known this for some time but it is challenging for me to share those words to others. In September my friend, Judy, and myself travel to the Grand Tetons for another amazing journey. That was about joining the masters in the Teton Retreat physically walking in my mastership pathway so I could share with others. The beings of the Spiritual Hierarchy have always been my confidantes more than anyone else in my life. I have always been part of the other realms more than this Earth which in itself is a challenging feeling. I returned to southern NJ with a sense that others needed to know more of what I knew. I share monthly an excursion to the Tetons so that others can also work side-by-side with the great ascended beings. The excursion for December has a separate meditation to travel to the retreat which is now open fully through January 14th, 2010. It is a yearly event in which initiates can go through their meditation or sleep times. Here is a link to the visualization: Teton Retreat Excursion. If you are interested in download, the link is on my site, under Special Visualization. I did ceremonies for the 10:10:10 in Cape May and for the 11:11 in Long Beach Island, NJ. Each of these events brought us closer to this auspicious time of beauty, love, and grace. The December activations were just a correlation of all of the activations in this year except intensifying with each full moon. The Lunar Eclipse on December 21st was considered to be the highest activation available upon this planet for eons of time. With each activation and attunement, I have been becomingly closer to my true work. Personally, it is a challenge for me as my life is very different than many. This year has brought me to the acceptance of my Divine Integration as a Goddess of Love and Light through being a messenger of the Cosmic Energies through Divine Mother and Divine Father God. I cannot tell you what a gift this has been for me not only in assisting others but for me personally. It is quite ironic because as a child I told my mother I did not want to go to church. I knew there was more than Jesus, although he always has been a major guide in my life. I was brought up in an Episcopal church and was very uncomfortable being there. My mother, being the woman that she was, said “okay, it is your choice”. I think though she thought I did not believe in God which she later found out was quite the opposite. Her lineage was from the Quaker roots, and I always remember her favorite words of “Silence is Golden” among other thought processes. They have rung so very true in my heart especially in the current times. I have chosen this pathway, to be a Messenger of the Light in a way that most may not understand. I was attuned with the Cosmic Energies five years ago and it affected me physically as I have shared previously. This Holiday Season for me was a huge ending in my old life. I sat with my niece and nephew whom I grew up with as our age difference is close and knew that it was going to end this year. I know what my mother felt like when she said her last Christmas was her last on this Earth. I am not leaving the Earth but am moving with the Earth in a different lifestyle than I ever thought possible. I felt this so deeply on Christmas Day. Lord Sananda was with me very deeply through all of these moments and I know he was with each of you. I had many tears of the endings but they must be as I have desired a life of bliss, joy, and acceptance. I feel the shifting and changing of my current life with bittersweet feelings. I am also excited about the changes that are about to occur within me and sharing with many that are accepting of these beautiful moments of transition. Each of us is walking across a “Rainbow Bridge”. The only difference is that the ‘Rainbow Bridge’ is not from the Earth into the Heavens but into a new dimensional frequency. We first, must intuit ourselves so we can help the Earth move into Terra Christa – the Star of the fifth dimension. Those that choose to not walk the Rainbow Bridge, will stay with this Earth to do the work they have chosen to bring forth, to help the many unawakened souls find solace in the changes that are about to come to fruition. I am here, as a Way-Shower, as many of you are, to help humanity open up their hearts into the bliss, love, joy, and connectedness of our soul family reuniting. The Sacred Heart is within each of us individually. It is how we choose it to be within us and sharing it with others that makes the difference. It is about surrendering to each of our lower energies, lower egos, and intuit our higher minds and hearts to be one in all of creation upon this land we walk, share, and love. What is it that you want to do in 2011? The Sacred Heart integration is our guidepost in sharing ourselves with the world but first it must be non-judgmental and in harmony with the love within each of us. None of us is any different. Each of us wants the same thing in our lives of love, joy, sharing, and expressing. Each of us is a teacher and a student. I am continually learning from others and the fact that I have grown into this space of continuum does not negate the fact, that I also am learning greatly in each moment. I am in a space of sharing my soul’s essence onto your soul’s essence. I am looking for love just as you are looking for love. When each of us fully allows our vulnerability to be our guidepost, then that is when we shall unite with each other. That is when the ego will drop, the love will be shared, we will be able to express ourselves sensually and sexually in a healthy manner with our beloveds. All karma will be released and we will be rejuvenated to be to each other what we are supposed to be: Souls Upon the Pathway of Love and Light. As December 31st will be a day to fully embrace the Christ Within us, I fully will be doing so. Each year on New Year’s Eve, weather permitting, I do a Sunrise Ceremony for myself. This year will not be any different as it is also my birthday which helps me set up the energies for the year. I would love to include your name if you would like to come into my circle. Please send me a note requesting your name and location so I can call your name, Meleriessee@lifestationearth.com or if you are near the southern NJ area, join me. Usually I am alone, but this year, I want to invite others to join me. This is what I look forward to in 2011 besides helping others, traveling, and do the work that I have been trained in by the Spiritual Hierarchy. I share with you at this time as it helps me to understand what I experienced on December 25th, not only spiritually, but physically. It is an honor to know you and love each of you differently, but the same. As one that has been on this path for over two decades, you would think that I would be used to these times of healing deeply…but alas, today, is one of those days that it feels so miserably painful and I am being brutally honest. They say that in order for us to heal we fully have to be vulnerable; then we become vulnerable, and the pain starts to open up. As one that has had relationships in the past that were totally dysfunctional, I literally have stayed away from certain people. It is safer for my energies and my body. Many of the people that I have been friends with in the past came into my ascension group, healing circle, or became a client on a personal basis. We hit it off; our energies seemed to merge and then whammo…you get hit. Why does this happen? Well, one reason is that as we heal deeply the people that we were originally aligned with are no longer thinking as you are or vice versa. So it results in emotions getting in the way and the relationship has a tendency to abrupt, so to speak. Presently, that is not what I am referring to. They are the karmic relationships which I feel I have gone past or hopefully, I don’t run into them once again. At this stage of my growth, I find that boundaries in relationships are essential. As one shifts their energies beyond the comprehension of a normal person, well the interaction can be quite difficult. I spend most of my time writing, expressing through Spirit, transcribing my calls, and upgrading my website with tidbits of tools and information which puts me into an altered state very easily. When you start to realize that you have healed the relationships around you, then you have a tendency to see each moment. Many years ago I was guided by the Ascended Masters with this thought, “Please know at this time your life will never be your own.” I am experiencing this very greatly in this time frame. This month of December has been tremendous in sharing healing to others via calls, videos, and personal interaction. I am getting pushed and prodded in many different directions. This holiday season for me is no longer about spending hours trying to buy many gifts for my friends and family but finding very important gifts from the heart. It is about how to give service to this earth, and Lord Sananda made sure that I was going to understand that concept deeply within my being. I have a few special relationships which are very dear to my heart. My family relationships are not as close as they once were due to where I am now residing, within my Sacred Heart. My parents are in Spirit and I miss them dearly. But the essence of my heart is fully within the aspect of a higher frequency having developed the fifth dimensional body a couple of years ago. I may have even developed more frequencies but I try not to concentrate on that fact. It is challenging for me to eat; what I do eat sometimes does not settle in my intestines so I live on higher frequencies much of the time. Fruits and vegetables are my dearest friends along with my green veggie juicing. My workouts need to be done so then the food will be assimilated within my physical vehicle. That was not my reason for writing. I am unsure what is about to come through me but when I get in these states, I know it is important. Each of us is in a very deep healing state. Today I am feeling it greatly once again. We are about to be upsurged with our Sacred Heart energies within, and I am feeling the rawness within my heart. The feelings that I must share are not only with you but my deepest friends. Some of these individuals I do not converse with on the physical although they are in the physical. We connect on the fifth dimensional level, and have a true understanding of one another. That is my anguish. How do you bring these higher relationships into balance into the physical when the Earth is not in the fifth dimension yet? In this stage one can tend to be in both worlds but the love is so amazingly beautiful with these individuals they quite cannot ground themselves physically. So you interact, communicate, but do not see one another through your physical eyes. You may dream about them, see them in your meditation, and may even feel as if they are standing right there with you. I asked of Spirit today to show me the way. How do I get through these moments of rawness in my heart as I allowed myself to be vulnerable with one of these individuals, and I realized that he was not ready to share his vulnerability with me. As one who lives in a consciousness beyond one’s mental comprehension, it is easy for me. So very easy but yet when I interact with these souls, I don’t understand why they are confused and frightened. All I can do is say, “Well, I have attracted these souls through my heart, and within their higher consciousness they are ready. But within their physical consciousness, it has not activated yet.” I am also learning through this process that maybe I am not ready to receive them physically. Everything is a give and take, a yin and yang, and a balance within. Christmas is a very challenging time for all of us. This year it is more spiritually connected than ever before due to the integration of the Christ Within. As I sit here reflecting on what I am sharing, I realize that each of us is receiving deeply the healing that is needed to reflect the Christ in all of us. We are a living embodiment of the times that Jeshua brought within himself. How deeply we need to heal in order to feel this love so completely. I am luckier than some that I know. I have been walking this path for a very long time and been integrated with the higher energies through my continuation of my gift as a Messenger of Light. The painful moments have to come up; there is no other way. Some are hurtingn deeply because the activations are so great that it will come quickly and leave as quickly. The Spiritual Hierarchy has given me a golden opportunity to fully attune myself way before the activations would be occurring so I can share with others, this journey of the Self Within. Today I am honored to allow myself to be so vulnerable that I can share these words with each of you. Previously I would not have done so. I closed myself off only to times when I felt safe to share. We need to reach out to others even when it hurts deeply. I was hurting today, but so are so many others. 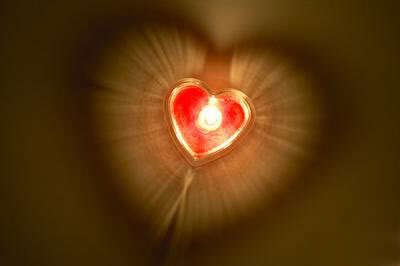 In this moment all I have is pure love within my Spirit and sharing my Light as it illuminates my pathway forward. Blessings to each of you on your own Journey of the Self. I reach out my hand to you in love, friendship, and joy as we express and heal with each other. Incorporating the Christ Body ~ What Does It All Mean? We are all being shifted, changed, moved around, and pushed and pulled in many different directions. We are at a pivotal point in our lifestyles, our relationships to our self and to others, to our environment, and the world around us. Okay, so you are awake, or hopefully you are if you are reading this writing. What about the ones that are still asleep. How are they being affected by these activations in December. Let’s backtrack: We had the New Moon energies that initiated the Sacred Heart within us, then we moved into 12:12 which brought us more into alignment with our male and female aspects, we are a bout to experience the 12:21 which is going to realign us again with our emotions and pull out what no longer is necessary to prepare us for the big event on December 25th, the full activation of the Christ Consciousness within each living entity upon this planet. What a magnificent time to be alive and more magnificent for those of us that are in alignment with our True Selves. Even if we are not fully there, we are gathering together to share and connect with our soul brothers and sisters for the first time ever upon this planet. I have a little story to tell. This past weekend I hosted my annual Christmas Gathering in which several friends came to connect with the energies of Lord Sananda, Mother Mary, Mary Magdalene, and the Cosmic Divine Mother and Father God. Those of you that know me, I am a messenger of these great beings but they are more to me than my teachers. They are my best friends in spirit and have aligned me into this purpose I bring forth. I had a couple friends with me overnight and one special friend for the whole weekend. I had a family party to attend on Saturday evening. These relatives are almost considered my siblings as I was one of the youngest child in my family and my older sisters had their kids when I was very young, starting at age 8. My sister’s kids are really my closest relatives but I do not see them very often. Most of them do not understand me, for the work that I do, but there is acceptance. Before we went into the house, my friend, Robin, and I did our protection and raising our vibration onto the Cosmic level. We walked into the house and it was a completely different experience for me than ever before. I found that my great nephews and nieces gravitated towards me like never before. Most of these kids are teenagers and I barely see them. I spoke somewhat of my pathway but I never push anything on anyone. As I watched around the room, I saw those that were attracted towards the Light and the ones that were repelled by it. I also found more acceptance than I had received before, and this was not with words, but by actions and feelings. This is how we need to integrate ourselves into the world of unawakened ones. It is imperative for us to interact into these worlds even though many of us find our energies get depleted. It is also very important that we fully ground ourselves, meditate, pray, and activate the highest energies within us. We are coming into a wonderful time but we are still living on a third to fourth dimensional Earth. That is the challenge we face in 2011. There was quite a bit of discussion about our food. Many of us are finding we cannot eat what we have previously and that is because we are accessing the higher frequencies within the physical level. This is a good week to eat lighter; drink lots of water; watch your additives like coffee. You will find utilizing these elements is going to assist in the process. 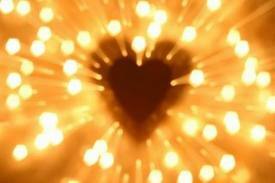 Clear the vessel in order to bring forth the activation of the Solstice and then the Sacred Heart within. All of this is imperative for each of us to get through this process easily and effortlessly. We are assisting Gaia, Mother Earth, to heal and raise her vibrations. As we raise ours, then hers will follow. The unawakened ones truly need our assistance in the coming times. December 25th is going to be a momentous occasion for each of us. I have been working very diligently in the last two weeks working with Spirit to bring forth as much information as possible in many different avenues. I knew it would come to this time when my life would change, and this is my life. I am honored I am walking this path along with so many others in peace and serenity of my being. I guess this is why I started many years ago and know that I have paved the way for others just as many others have done. December 24th I will be doing a call with Lord Sananda in which he will bring forth an attunement for the full activation of the Christ Consciousness. Is it necessary to be on the call or listen to the recording? That is your choice. My choice is that I was asked to bring this forth to others, so it is very imperative in my mind. What is right for one does not have to be right for all. That is the beauty of individualization. If you are interested in joining us, the conference number is 712.432.0075, Code 863611# or accessible via Skype at 1 PM EST. 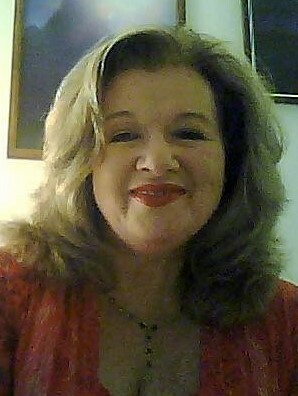 If you are utilizing SKYPE, please email me at Meleriessee@lifestationearth.com to set up your ID with mine. Otherwise, the call would be charged. To listen the Sacred Heart message from Sananda, please go to http://lifestationearth.com/page_58.html which also has an audio recording of our Christmas Gathering on December 17th, 2010 with Lord Sananda, Blessed Mother, and Mary Magdalene. December 31st is going to be our day to fully sit back and say, “Wow, I made it,” and totally relax. It is a time of preparedness for 2011 as we need to fully work with others in whatever way that we can. I will be taking my work with the Christ Consciousness overlighted by Lord Sananda and the Cosmic Oneness of our Divine Mother and Father God out into the world to share with others physically. I am excited to move forward on my pathway and look forward to the possibly of meeting you personally. Many blessings to each of you for a wonderful Holiday of Sacred Heart Within as we all shine our Light so very brightly upon this Earth. Author Rev. Christine Meleriessee and Rev. J. Michael Ara HaydenPosted on December 20, 2010 December 20, 2010 Categories Christ Consciousness, Cosmic Energies, Divine Mother and Father God, Earth Healing, Energetics, Golden Era, higher consciousness, I AM Presence, joy, Lord Sananda, Oneness, spiritualityTags ascension, attunements, channeling, Energetics, Golden Era, higher consciousness, I AM Presence, manifestation, mastery, Oneness, rebirth, spiritualityLeave a comment on Incorporating the Christ Body ~ What Does It All Mean? This month of December is proving to be the ultimate energy activation for 2010. This year we have been hit with so many vibrational changes upon this Earth, we call Gaia, and December is showing us to be the final connection we all have been waiting for. We started with the energies of the New Moon. I shared a New Moon Meditation, which can be viewed at. There is also an audio download available for your personal use. Sunday is the 12:12 activation of energies. We have been preparing for the focus of the Christ Consciousness for eons of time. 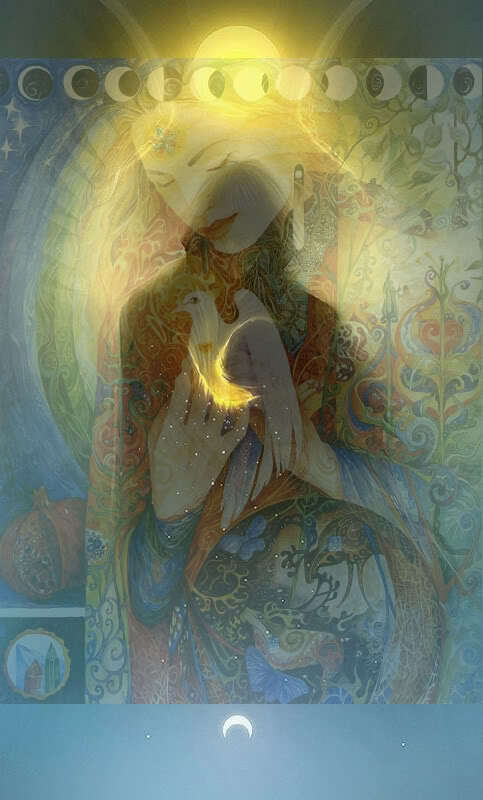 The Cosmic Oneness calls have been bringing forth energies to balance the Male and Female aspects within. December 12th is the opportunity we have been waiting for. Twelve represents Complex Stability “From the greater council at essence core, through the pulse of connectedness stability pours,” The Mayan Oracle. The foundation of the self and the foundation of essence in union with the mystical truth of polarity. This represents the God and Goddess within; it is our time to fully balance the lower aspects of our Emotional and Mental levels so we can be in unison with our I AM presence. It is time to fully expand within the complexity. We cannot wait any longer and this activation is giving us a supreme opportunity. There is NO TIME LIKE THE PRESENT. Join us for the Cosmic Oneness call, Sunday evening, December 12th, 2010, 8 PM EST as we will be blessed with the ability to transform ourselves through this Divine Energy. December 21st is the third activation to occur this month. We will be celebrating the Full Moon energies, Lunar Eclipse, and the Winter Solstice. What a powerful time it is going to be for each of us. As the clearing started within the 12:12 energies, the activations of 12:21 will be amazing. Notice how the number is a mirror image. Again, we have the energies of the balance of Yin and Yang with the 12 again in which it is a time to fully mirror each other in balance. The Lunar energies will be very emotional so it is important not to let the mental take over but instead, utilize the mirror representation of complete balance within. The Solstice energies represent the sun standing still which teaches us to full take stock within ourselves in preparation of our desires we need to achieve under the conditions of winter. 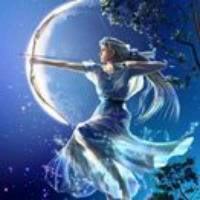 In addition the full moon is about releasing which fits in with the other elements discussed for this activation. I will be doing a call on this date, the 21st of December, 8 PM EDT, which will also include a visitation to the Teton Retreat as the doorway is open during the full moon. In addition, on the 15th of December, the Karmic Board is available through the next 30 days to travel to the retreat to work out specific pathways of our mastership. It would probably be a good time to connect with the ascended masters at this time so that the journey onto leadership can pave the way for 2011. December 25th is going to be a massive surge of energies for the Christ Consciousness. Each individual upon the planet is going to be infused with the Christ energies that are all apart of us whether they are awakened or not. For many of us this is what we have been waiting for. I was fully able to experience the Sacred Heart activation in the past two weeks and the full integration of Oneness in the past six weeks. It is an amazing experience and you will never be the same. On December 24th at 8 PM, EDT, I will be doing a call with Lord Sananda and the Christ Consciousness energies to help balance out the energies. The full activation will take place on Christmas Day and it is not about Jeshua, but about each of us as we will be fully rebirthed into the Christ Consciousness. The other activations are in preparation for this momentous occasion. A recording will be available shortly after the call so anyone can listen and download when they are able to do so. December 31st is a day to fully reflect upon the energies and what has happened to our souls in preparation for 2011. What does this all mean to each of us even the ones that are newly awakened. For one that has been on this path for over two decades, each individual is receiving an unprecedented opportunity to fully be the Christ Within as it was for Jeshua. If you have information on the initiations, it has been channeled that Jeshua was only on the 4th initiation at the time of his crucifixion. That is an amazing feat to be on that level of initiation and achieve what he did. But as we know, there is much background information on the many lives that Joshua experienced and most of them were very highly spiritual as a major leader upon the planet. We are aspiring to at least to intend our higher selves to be fully active so our I AM Presence can be integrated. That requires an initiation of beyond the sixth. Physically we need to fully integrate the fifth dimensional frequencies within our body to achieve the pathway onto the New Earth and incorporate the 22 chakras that are correlated with the fifth dimensional frequency. We have the ability to achieve higher frequencies and initiations on a consciousness level but physically, the highest can only be in the 7th dimensional physical existence. Should one decide to go beyond that level, they would incorporate their full Light Body and exist in pure essence of Light which some people are choosing to do. My choice has been to fully integrate these energies in the 5th dimensional body and assist others to do the same. The New Earth will be a beautiful experience but will take the integration of the Christ Consciousness to do so. All lower energies will be fully removed and released as the four lower bodies of the Physical, Etheric, Emotional, and Mental will merge with the Spiritual Body. The Sacred Heart Activation is a direct integration that is associated with the Christ Consciousness which means that the Male and Female/Emotional and Mental/God and Goddess within need to be fully balanced and integrated. I will be uploading a meditation from the Manifestation of the Divine Principle which will help an individual to fully activate the God and Goddess within. Please look for it under Ascension Tools. Be prepared for many changes to occur with these new activations and some of it may not be pleasant especially with loved ones, friends, colleagues and the general public. It is our time to be the Way-Showers and extend our hand onto the Ones that are in deep need of patience, love, joy, and acceptance as we follow each other onto the Promised Land of Great Opportunity. This month is going to be very beautiful with great healing and activation of our internal beings. For the past couple of days I was not feeling well and I always know these times are truly an inner activation that is occurring. Sometimes, I forget what is really happening cosmically when I am so centered within my physical body. Today I was reminded once again that what we are experiencing is truly with Oneness of Everyone. It was not until I connected with Sananda that I realized how powerful this month is going to be for each of us. I have been receiving another download from the Universal Consciousness and I am very sure that I am not the only one. I am coming into a new state of my pathway of fully promoting my teachings and my Light onto the earth. The last two days I have been feeling out of sorts, tired, stomach issues, and a massive headache. Today I was given a great gift from Sananda as he shared with me what I was going through personally and to share with others the energies of this month. The New Moon of December 5th is the beginning attunement of the Sacred Heart Energies within each of us. It is time for us to fully accept our Divinity more fully within our physical vehicles. I am sharing with you a Decree and meditation that I put together today. The Christ Consciousness of My Being. As I stop and reflect within. It is The Sacred Heart Within. I have found my Inter-galactic Family. It is not the Planetary, it is the Galactic. More than I ever thought I could be. This month is a prerequisite of what we are to experience for the New Earth. The energies of the Full Eclipse and the Winter Solstice coming together on the 21st will be a culmination of energies to prepare each and every individual to receive their Sacred Heart fully. He is here for each of us to raise our vibrations into the Galactic level of awareness. This means that we are able to access these energies in our meditative state to the 11th dimensional frequency and incorporate those energies within the physical vehicle. This is going to help each individual to fully actualize the higher chakras which is a necessary component to inhabit the fifth dimensional body of Light. 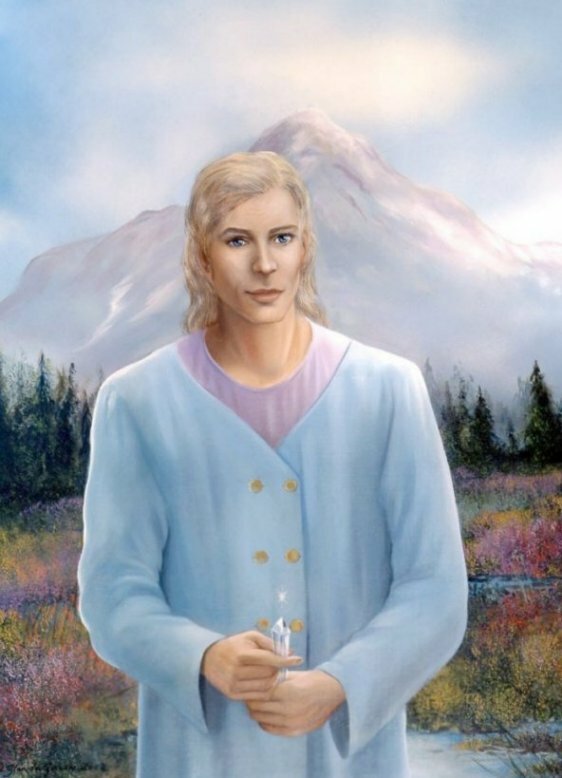 Sananda is giving us a special dispensation to fully intuit the energies within our consciousness [meditative, altered realities and sleep state] into a much higher level of frequency; that being, from the 12th through the 24th dimensional frequencies. This will help attune us physically to the fifth dimensional body. The Sacred Heart attunement will help us to realize our Divine Plan in the acceptance of our pathways upon the New Earth. Within the Sacred Heart attunement the elements will help one to fully accept their Divine integration while the body can release and embrace at the same time. It is imperative for each of us to fully accept this integration through the month. Upon the entrance of the Solstice, Eclipse and the Full Moon the activation will be fully integrated within the physical body so one can tap into this pure Love Essence on a continual basis. Sananda has asked me to fully announce that on the 25th of December it will be the full realization of the Christ Consciousness within each person’s being. It is our Rebirth onto this Earth as we become the Way-Showers, Teachers, Healers, Advisors, and Leaders to those that are to be awakened. In addition you can work with Sananda personally through meditative and sleep states, and ask for him before you go to sleep. He is the Chohan of the Six Ray of Devotion in the Cosmic Energy of Ruby Red. The power of this ray will embrace one’s being with Divine Intent and Consciousness of their being. He has works directly with the Ashtar Command. I will bring forth in the next few days a direct channeling from Sananda so he can explain it in full detail to each of you. This will be in my December newsletter. This will be available through my email list, on Facebook or via my website, http://lifestationearth.com under New Earth News.